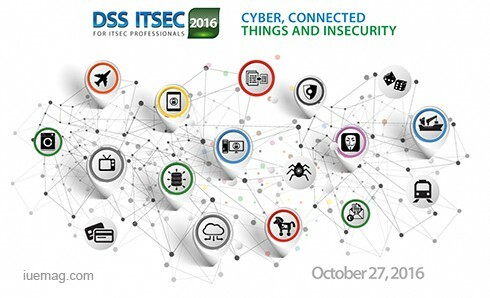 DSS ITSEC 2016 will bring together top ICT Security professionals from industry’s leading technology vendors, international organisations and agencies, local and regional businesses, as well as, representatives of government and public sector. The conference is about cyber security only. Event annually covers a broad set of topics including current and future trends of cyber threats, modern market developments and strategies. It discusses and introduces newest laws and regulas, international compliance standards and cooperation, as well as technological solutions for Cloud, Data, Mobility, Network, Application, Endpoint, Identity & Access, and Security Governance. The DSS ITSEC brings together high-level ICT professionals from local, regional, and international businesses, governments and government agencies, tech communities, natioal and public sectors. The conference covers a broad set of topics, starting from development of ICT security skills and Awareness Raising, to modern market developments and numerous technological solutions in the Cloud, Data, Mobility, Network, Application, Endpoint, Identity & Access, and Security System management, to corporate and government strategies and the future of the sector. The panel discussion, presentation, interactive debates, and the exhibition hall focus on a diverse range of security issues, enabling delegates to choose their own key areas of interest. In 21st Century travelling isn’t always mandatory to get the access to the information. You can watch LIVE video content exploring all 8+ parallel sessions in our YouTube channel or via our media partners like LMT Straume and various internet portals. In 2015 there were thousands of online live video stream viewers from all over the world. DSS ITSEC 2016 expo area typically provides at least 40+ expo stands with selected innovative technologies where on-site visitors can meet with industry professionals, learn, workshop, address the most important topics and receive advises from industry experts from all of the world. Conference and expo is about sharing knowledge, experience and contacts via business networking. Besides international cyber security star speakers event annually on-site brings together more than 700 high-level ICT professionals from local, regional, and international businesses, governments and government agencies, tech communities, national and public sectors. If You are CEO, CFO, CSO, CISO, CIO, legal and audit officer, or responsible for Business & IT risks / compliance, or administering systems, developing apps this event for You is a mandatory to attend. Tarun Samtani, Group Cyber Security Advisor at Findel Plc. Kirils Solovjovs, IT security expert, founder of 1st Ltd.